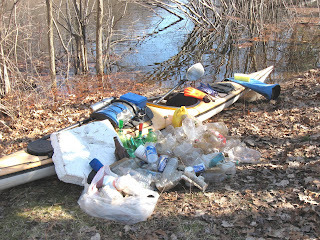 Trashpaddler's Waterway Wanderings: Single-Use Container of Bottled Water - Friend or Foe? Single-Use Container of Bottled Water - Friend or Foe? 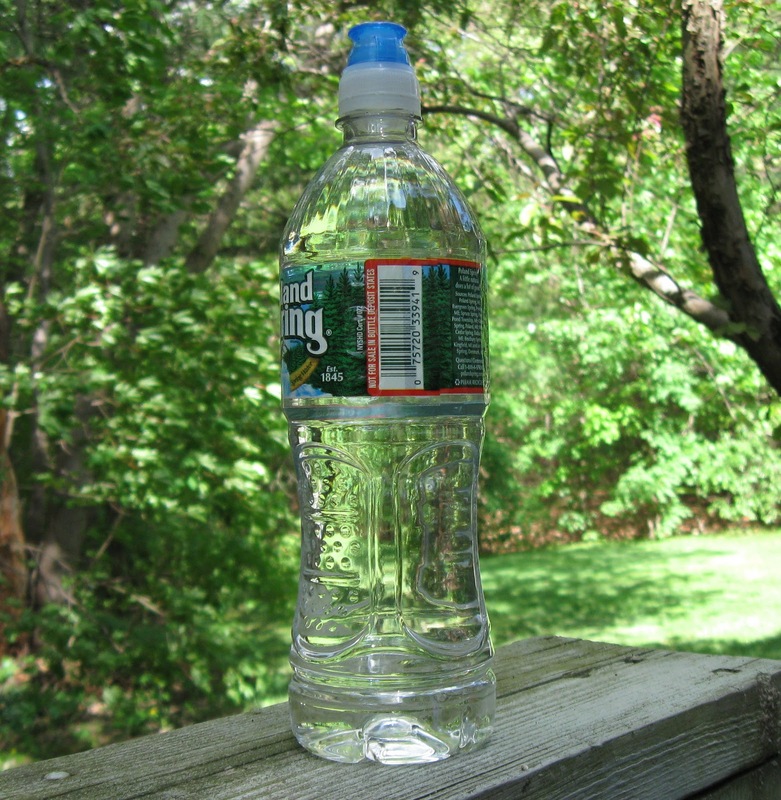 The subject of bottled water was debated by many this past week and opinions ran the gamut. The opening salvo occurred, appropriately enough, in the historic town of Concord, Massachusetts where town meeting voters authorized a new by-law that will outlaw the sale of single-use bottles of water. My understanding is that the bill’s proponents grew frustrated with the state legislature’s failure to act on modifying the state’s very much outdated Bottle Bill. Now, in case you’re not from Massachusetts, you should know that our state legislators could never be confused with our famed Minutemen. In fact these state reps would have waited hours, or perhaps days, for favorable poll numbers before taking any risky action in April 1775. It is also significant to note that the three speakers of the Massachusetts house prior to the present one have all been federally indicted. The words lobbyist and malfeasance pop up over and over. When I see the esteemed group in session, all I can think of is the song “Send in the Clowns”. But I digress. Concord’s bold vote against single-use bottled water was only a few days old when a coupling ruptured on a Massachusetts Water Resources Authority (MWRA) pipeline disrupting the supply of drinking water to 2- million people in the Greater Boston communities just to the east of Concord, and temperatures were in the 80’s. Affected residents had two choices for potable water; either boil tap water, or resort to the more convenient bottled water. Needless to say for the next several days bottled water in any kind of container became a most valuable commodity and Concord’s impending ban on what others were finding an essential item for survival looked unwise at the least. I wonder if the bottled water folks have stopped dancing yet! All the progress the "Take Back the Tap" movement had made was dealt a serious setback. So is a single-use container of bottled water our friend or our foe? I believe the answer is both. There are clearly times when a single-use bottle of water is a good option. Those times are when the local tap-water is unavailable or not meeting the health requirements of regulating authorities. There are other times, however, when bottled water is selected only for its convenience, as opposed to bringing water from home. After all, we’re basically lazy creatures. Walk by a soccer or baseball field after a game or practice and you will see how those single-use containers are handled once they’re empty. Those little plastic bottles don’t look so friendly anymore. How is it that our legislators can't see the inconsistency here? Could it be the Mass Retailers Association and the Bottled Water Industry have their ears? Or perhaps they just figure most folks are ignorant of the problem and happy to stay that way. 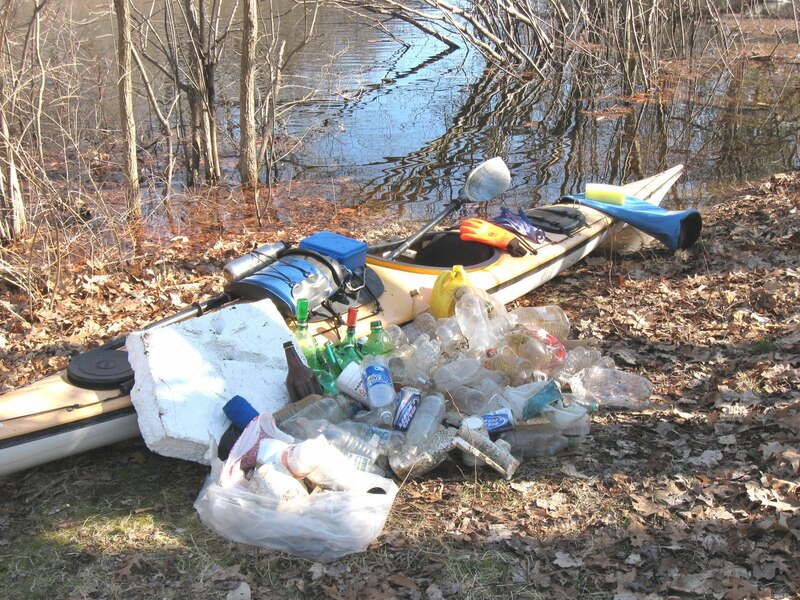 What's such a big deal about a few plastic bottles in the bushes, rivers, and streams? I'm definitely guilty of drinking bottled water when tap water would probably do. It's just so convenient. 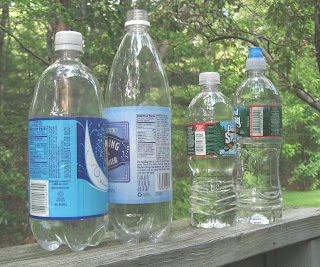 I do try to make sure that the bottles end up in the recycle bin rather than the trash - never the bushes. Another thing we should outlaw is plastic grocery bags. After last month's floods I find them stuck in trees all over the river – some 15 to 20 feet up. They will be there a long time. Erik, Agree with you on the plastic bags and find it more than a little ironic that those damn bags are such good "tree huggers"! 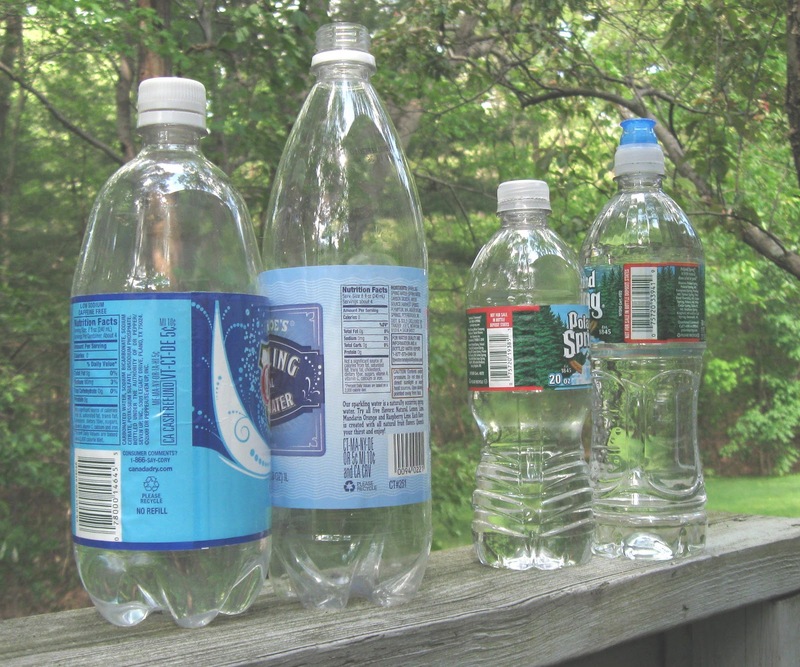 How does Rhode Island handle single-use water bottles? Is there a deposit? Nope - no deposit in RI.